I’ve long held the theory that beer is a common denominator for people all over the world. It brings us together. It transcends politics, religion, race, social status, creed or gender. Dear reader, I may not have a single thing in common with you except for love of craft beer, and that is why you are reading this blog. We may be polar opposites on an issue –and not like each other for it– but we can sit at a table, sip the same beer, respect each others opinions about it and repeat the process or part company on better terms. I daresay beer could solve all our problems. 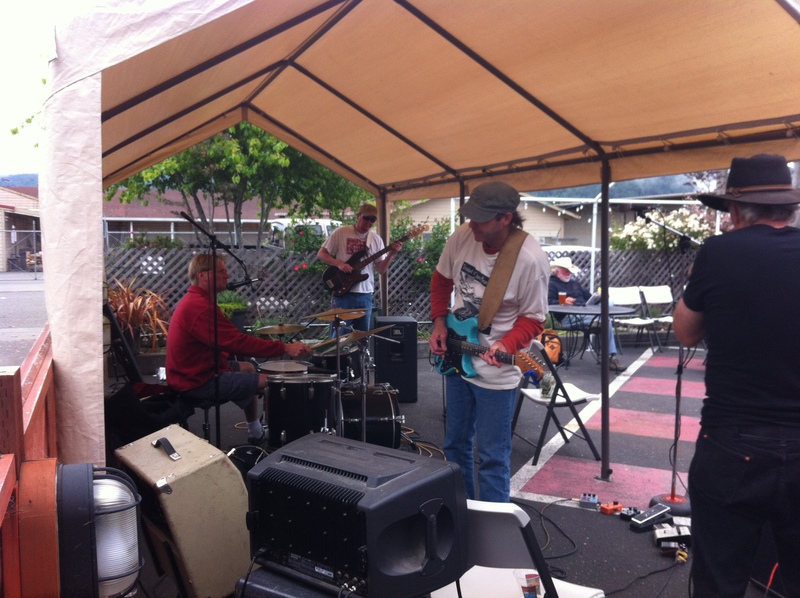 This week saw two charity events hosted by Mad River Brewing Company’s tap room. Craft beer providers do this type of thing all the time for various causes. These two just happened to take place close together and I attended both, so this topic is on my mind. 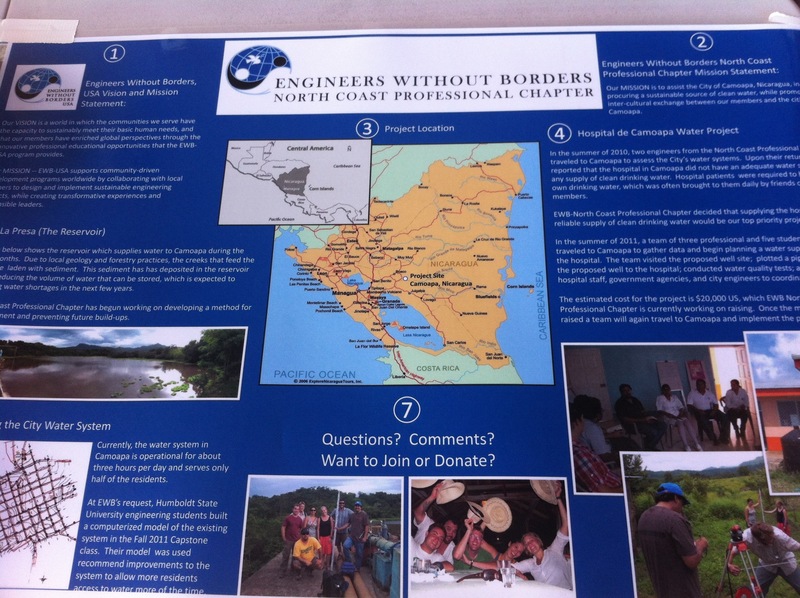 (read: I am a MRB fanboy, just trying not to make it so obvious) June 2nd was “Pints for Tracy”, and June 6th was “Pints for Non-Profits” benefiting the local chapter of Engineers Without Boarders in their efforts at Camoapa, Nicaragua. Each get $1 donated by the brewery for every pint sold but they are two very different causes. One, a small group, the other, a very large group. One effort staying local, the other effort thousands of miles away. But who cares? People everywhere need help for various reasons. Charity should be a regular part of our lives. Where am I going with this? Enjoying craft beer for a cause should be a very easy thing to do! Tracy Collins is a humble man. An every day man. He has a heart of gold, which is what gave him a bit of trouble in May. I’m not going to get any farther into his situation because that’s not respectful to him and not what this blog post is about. But Tracy and his family were dealt an unexpected crisis away from home and their friends and community rallied together for support. Knowing what Tracy had gone through, I was absolutely astonished to see him there. I asked him how he was doing. “Still pretty sore”, he acknowledged. Then he commented on the event, stating it was overwhelming. See, humble. You don’t have to be superman for people to look up to you. Perhaps he knows that now. 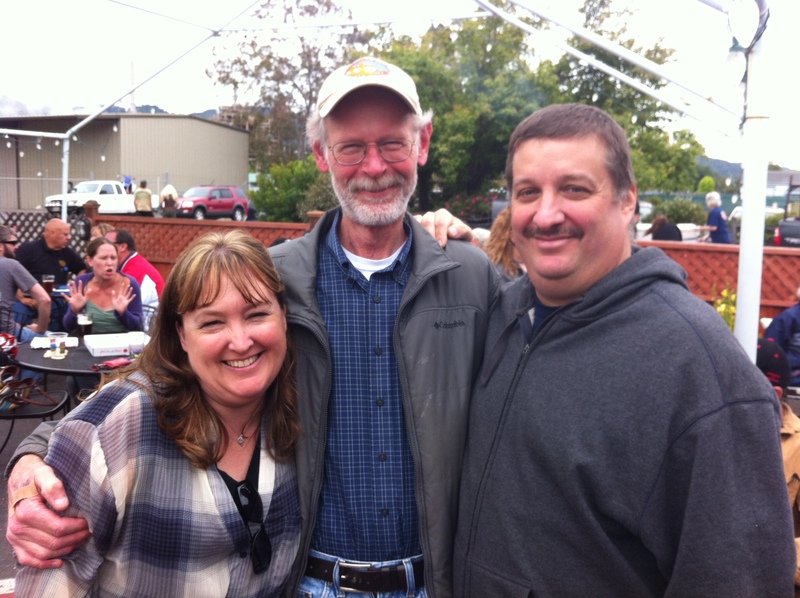 From left to right, Wendy Collins, John Onstine and Tracy Collins. There was the typical “Let me know if there is anything I can do for you” being offered and those go a long way. The thing that brought the community together, the thing that got people to stop what they were doing, the thing that was easy for them, was craft beer. I know this for a cold, hard fact because my own wife was there drinking a beer and she hates beer. It was a pink beer, though –Flor De Jamaica– so baby steps. (I’m expecting a plague of locusts and frogs falling from the sky any day now) In attendance were people very young and very old, people of different walks of life, people who may not have liked the band and people who don’t even know Tracy. And that’s what made it a beautiful thing. Tracy is a member of the Humboldt Homebrewers and a volunteer with the Blue Lake Fire Department. Blue Lake itself is a pretty tight knit community and the fire department is at its core. This effort was headed up by the BLVFD and a group of the firefighters spouses. Being Blue Lake, and being a volunteer organization, this came together naturally. Although its not set in stone as of yet, I believe there is another craft beer related benefit in the works for the Collins family. Tracy was key in the Humboldt Homebrewers holiday party held at BLVFD. I knew I liked Tracy a whole heck of a lot when he spent most of his time entertaining the kids in attendance and showing them the fire trucks rather than enjoying the festivities. June 6th received a visit by the folks from Engineers Without Borders. This group was the local chapter of a much larger organization and they are also responsible for the Humboldt Homebrew Festival held in April. As mentioned before, their work is focused on a city in Nicaragua which is the sister city to Arcata. Their most recent efforts are on improving the water supply. After their first trip, they showed the Humboldt Homebrewers a presentation highlighting what they did and what their ongoing project is. The thing that strikes you the most is we take clean and readily available water for granted. The people of Camoapa must bring large jugs of water in by truck. Pints for Non-Profits events seem to be happening every week at various breweries and craft beer providers. Most breweries don’t hesitate to donate beer to charity events. Yes, its a tax write-off for them, but they do it because it is a small community here. If Humboltians weren’t community minded, we wouldn’t get anything accomplished. So enjoy your “craft beer for a cause” as often as you can! P.S. Just prior to publishing this post, I received a press release from Mad River Brewing Co. This is beer karma for sure. around the world and recognizes the most outstanding brewers and their beers. Awards in the competition’s 95 beer-style categories were presented May 5, 2012 during the World Beer Cup Gala Awards Dinner at the Town and Country Resort in San Diego, California. Steelhead Extra Pale Ale recognized as among the best in the world, at the top competition in the world.”” said Dylan Schatz, Brew Master at Mad River Brewing Company. World Beer Cup winners were selected by an international panel of 211 beer judges from 27 countries. The competition—referred to as the “Olympics of Beer Competition”—saw an impressive field of 3,921 entries from 799 breweries in 54 countries. The 2012 competition drew the largest, most international field of entrants in the history of the World Beer Cup.